Scandal, currently in its sixth season, will end next year after it’s seventh season. The news is expected to be formally announced at ABC’s upcoming upfront presentation. The show recently marked its 100th episode. Though the journey has at times been rocky, it’s still refreshing to see a series recognize when it’s time to go rather than fade into the oblivion of poor ratings. If Scandal were to continue, we’d be looking at a series where Fitz is no longer President, which sounds great, but would also throw off a lot of the dynamics. 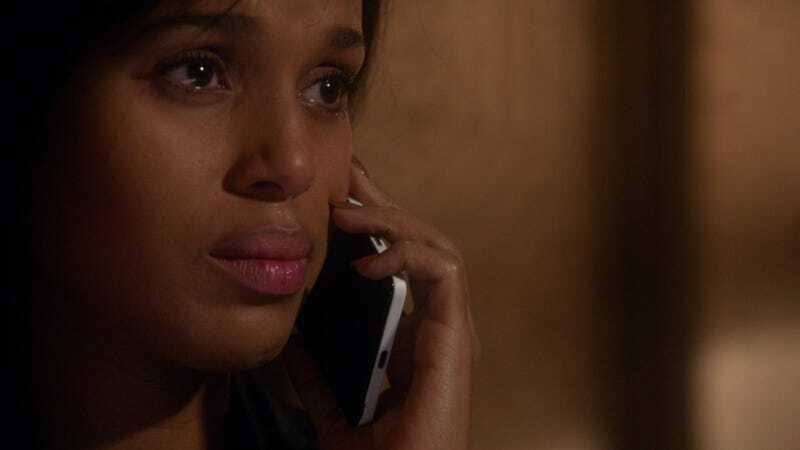 If Olivia goes to work in the White House permanently, what happens to Olivia Pope & Associates? What the hell will Fitz be doing? For that matter, what would Cyrus, Jake and Papa Pope reasonably have to do in a world where Mellie Grant is President, Olivia is safe-ish, and B613 no longer exists? Hopefully we’ll learn more about what exactly led to this decision but I have a few guess of my own. Perhaps Kerry Washington if finally planning her real push to become a bona fide movie star now that she has a huge fan base and notoriety. Shonda Rhimes already has a million other things going on so I wouldn’t be surprised if she simply wanted to declutter her schedule a bit. Or, maybe, everyone decided that we no longer need a soap operatic depiction of a chaotic, compromised, scheming Washington DC because we’re living it right now.